Stack it and spell it out with Daisy Alpha rings! 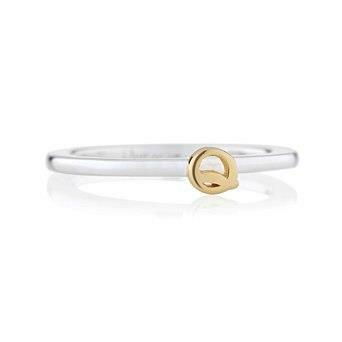 This ring is fun and eye-catching with a 24ct Gold Vermeil block capital that stands raised from a flat-edged Sterling Silver band. Buy one ring for the perfect gift, or start your own collection and spell out something meaningful to you! Letter measures 4mm x 4mm.